Welcome to Dunes of Destin! 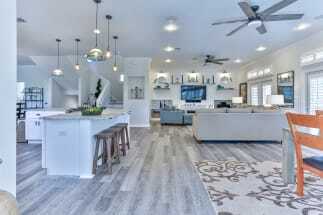 This private community is located in Mid Destin and is full of some of the most luxurious vacation homes on the market! 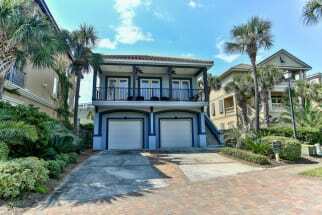 Emerald Coast by Owner is proud to be your premiere vacation rental service for the area. Every property is either right by the gulf or just a very short trip from it! A few of the amenities just offered in the community include the public pool, convenient location, private beach access, gazebos, a beautiful lake and gorgeous scenery! When you stay here, you're not far from just about anything! If you want to have a blast near the beach Go paddle boarding, rent a jet ski, deep sea fishing, boat tourism, golf, play sand volleyball and so much more! If you're a shopaholic, especially on vacation, you're in for a treat! The Destin Commons isn't far at all, and here you can enjoy the variety of being able to shop at over 90 stores throughout this outdoor mall! There's also a few traditional restaurants in the area you wouldn't regret stopping at! When it comes to food down here, you won't be disappointed. All throughout the area are award winning restaurants with some of the best food along the coast. Enjoy seafood caught fresh daily in a fun scene with beautiful views and great service at more than just one place down here! A couple spots we recommend you try are Dewey Destin's Seafood and Restaurant and The Crab Trap! Visit Emerald Coast by Owner today and we will help you find a great vacation rental in no time. 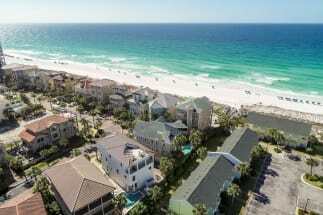 We have some of the best rentals at Dunes of Destin. When you book with Emerald Coast by Owner, we make it easy for you to choose where, when, and what you want to do on your trip. Contact the property owners directly by clicking the "Email Owner" button found on each listing, they will gladly assist you in the booking process. Enjoy your stay at the Dunes of Destin.